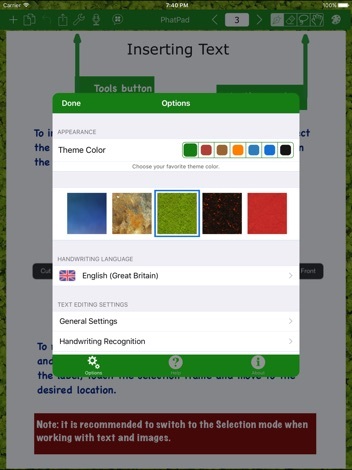 More than another note-taking app, PhatPad turns your iPad into an advanced brainstorming tool. Draw, write, and type your ideas then instantly share them via email, WiFi sync, iTunes, Box, Dropbox, SkyDrive, Google Drive, or presentation mode. 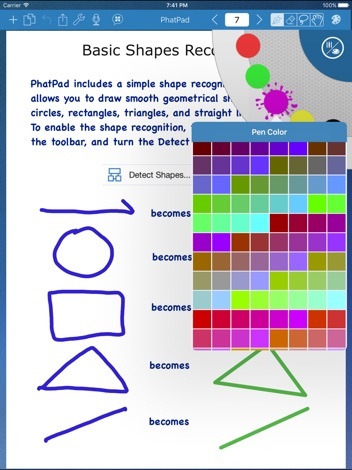 PhatPad’s digital ink technology and handwriting recognition engine allows you to scribble handwritten notes and drawings and convert them into digital text, or perfect geometrical shapes. Brainstorming and collaborating with team members is simple using PhatPad’s Presentation mode, which lets you create quick presentations and display them on your iPad. * Type or scribble notes using a smooth-flowing digital ink technology. * Combine drawing, handwritten text, images, and digital text on the same document page to create media-rich content. 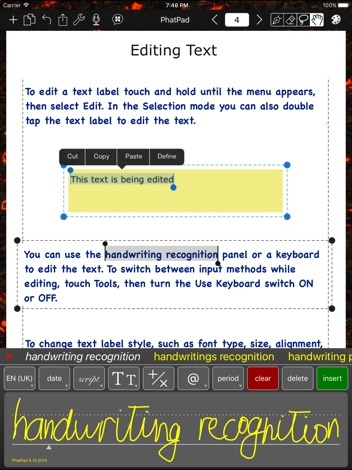 * Convert handwritten notes into text with PhatPad’s powerful handwriting recognition software. 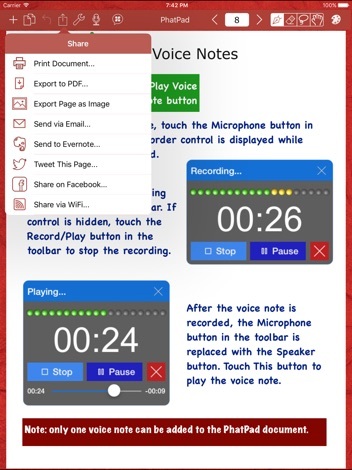 * Synchronize PhatPad documents with the desktop computer via iTunes, SkyDrive, Box, Google Drive, and Dropbox. * Share documents between two or more devices on a local WiFi network, or email them to anyone from within PhatPad. * Send documents to a printer on your wireless network via AirPrint. * Export PhatPad documents as a PDF. 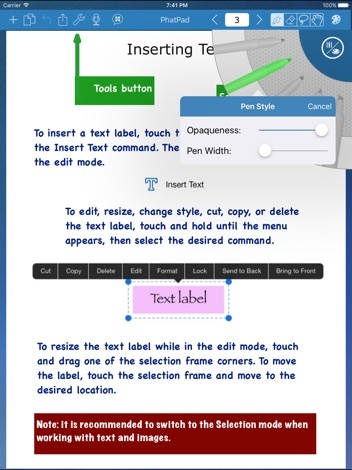 * Use standard editing commands such as Undo, Redo, Cut, Copy, and Paste. AudioTechnology: Everything for the sound engineer and recording musician. Audio Technology publishes 12 times per year and a free subscription is offered inside.